Fourteen-year-old Nikki is forced to leave her whole world behind when her mother makes an impulsive move to Missouri. Once in the heart of Saint Louis, her mother begins a vicious cycle of abuse and abandonment, leaving her daughter for days at a time without food or guidance. Humiliated, lacking resources, and feeling more than ever like a burden, Nikki decides to take matters into her own hands—when she embarks on a journey to escape her mother’s abusive ways and find the love she desperately needs. 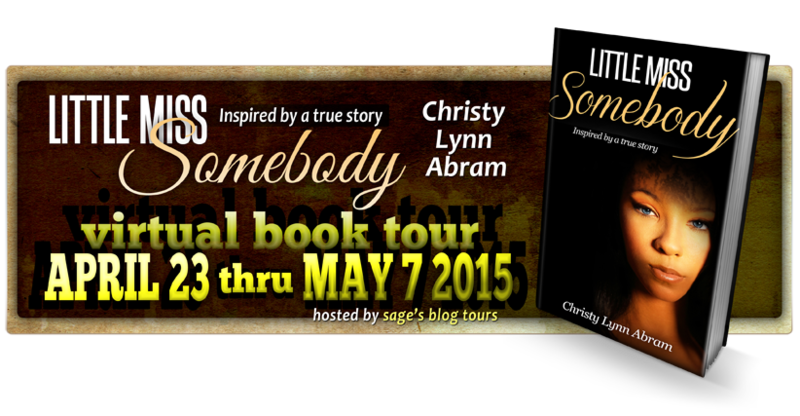 Christy Lynn Abram is a writer of self-help and creative nonfiction. Her articles have been featured on Mindbodygreen.com, Ezinearticles.com and many other websites. Christy’s first book, Chakra Wellness: 7 Ways to Renew the Total You, was released in 2014. 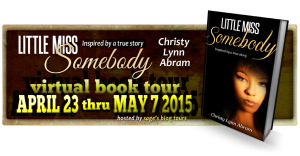 Her second book, Little Miss Somebody, is loosely based on her struggles as a teenager. For fifteen years, Christy struggled with the aftermath of her abuse, but after seeing how her pain was affecting her children, she made a choice to love herself healthy. Now, her mission is to empower young women to find the greatness that lives within them, through writing, healing and sisterhood. 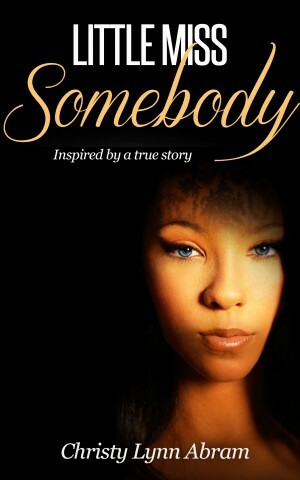 Her hope is that her story will inspire you or someone you love to release your pain and discover your best self. Learn more about Christy’s mission by visiting her website.